Hey there! Robin here with a layout design featuring Catalina Island by Quick Quotes. 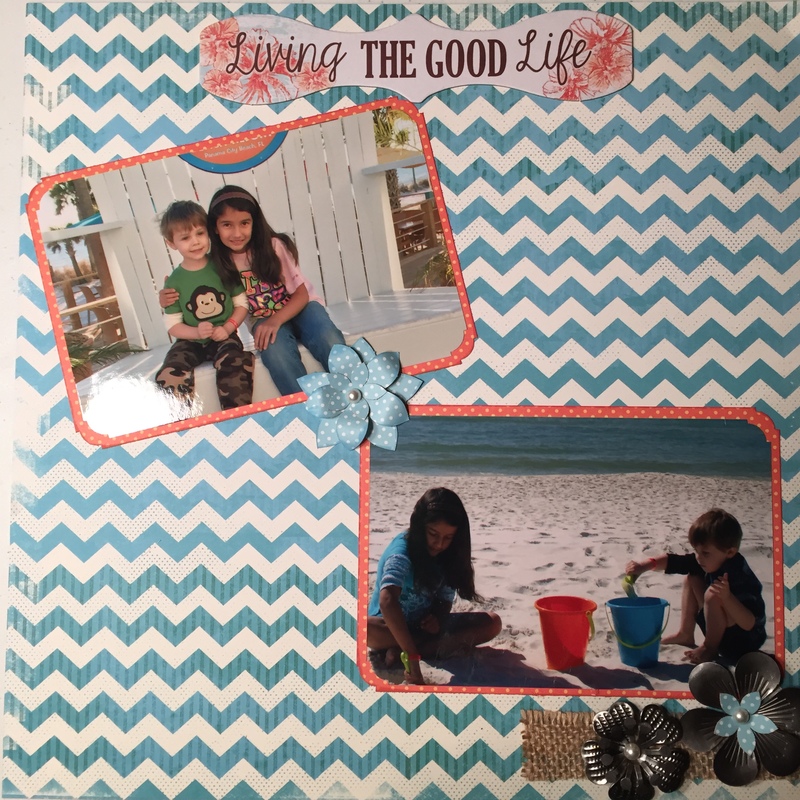 I have been waiting for the right paper collection to scrapbook our beach trip last month to Florida. This paper collection is perfect! The new Quick Quotes papers are beautiful and the new inks are awesome! I inked the edges of everything using Sunset and Sky Blue inks. 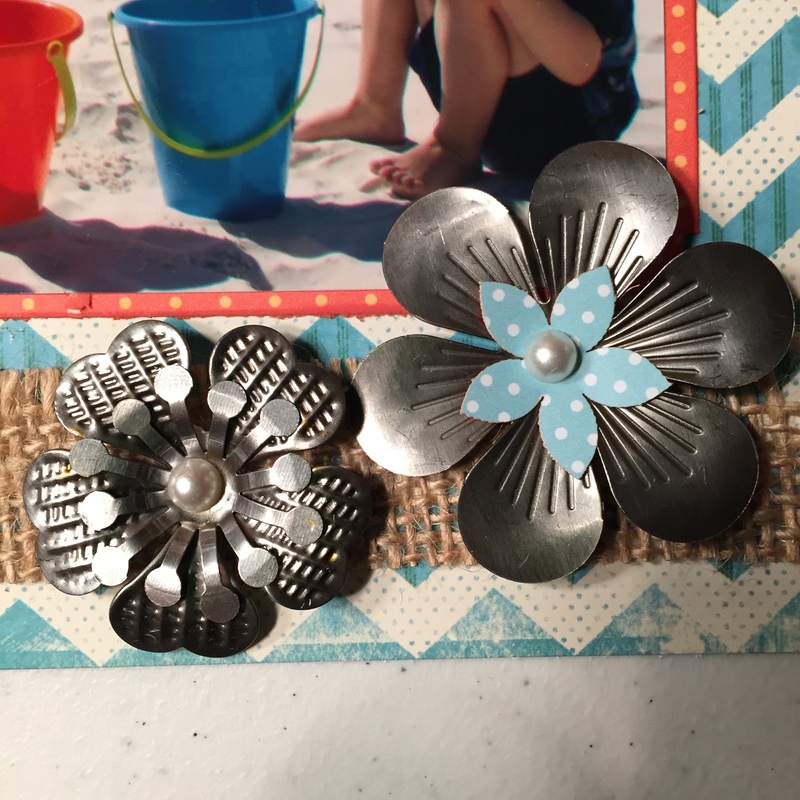 The metal flower embellishments from Quick Quotes are great. I love them all. 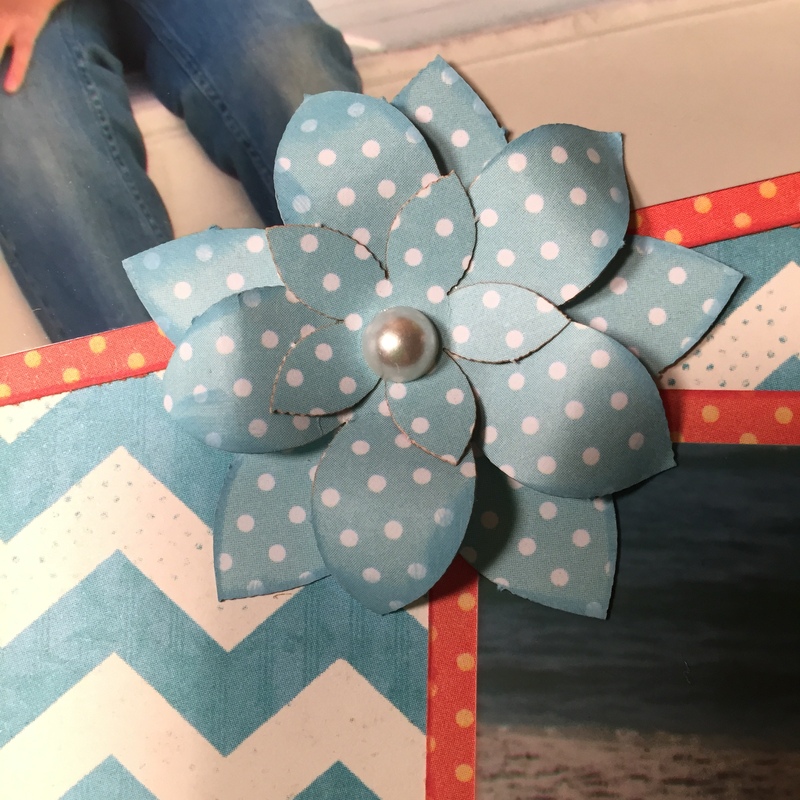 The chipboard die cut is also from the Catalina Island collection. I hope you enjoy my layout. I appreciate you stopping by to check it out. Happy Scrapping!